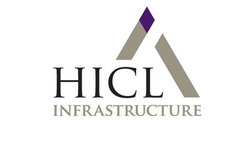 DividendMax»Company Coverage»Country:United Kingdom»Exchange:London Stock Exchange»Sector:Equity Investments»Company:HICL Infrastructure Company Ltd.
Net asset value ("NAV") per share (as at 30 September 2015) of 139.1p; up 2.4p (1.8%) from the NAV per share of 136.7p at 31 March 2015. Interim dividends plus uplift in NAV per share contributed to total shareholder return of 9.0% in the six month period. Second interim dividend of 3.60 pence per share declared, achieving target of 7.1 pence per share for the year, with good cash cover of 1.51 times.